It’s starting to get busy now as plants really begin to take off. It’s such a lovely time of year to be outside enjoying the garden – even if it can feel a bit overwhelming at times! 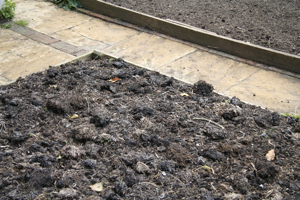 Keep on top of hoeing and weeding, and apply mulch to weed-free moist ground if you haven’t already. 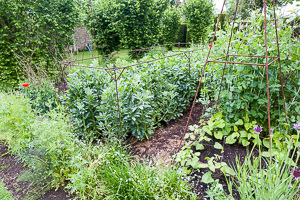 Feed your garden this month! 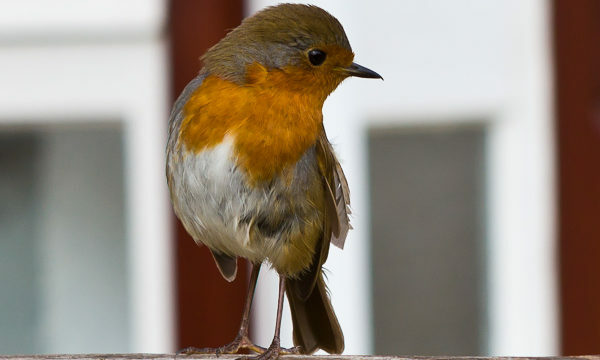 Sprinkle a slow-release fertiliser around the base of your plants (including spring bulbs), fork the fertiliser in and water well. 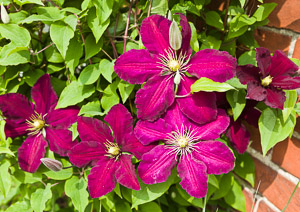 Clematis benefit from a liquid feed before they start flowering and diluted tomato or rose feed is ideal for a fortnightly soaking at the base. Don’t forget to feed your container plants too. If you grow acid-loving plants such as Rhododendrons and Azaleas in lime-free but not particularly acidic soil, then use a Rhododendron feed on them (and avoid using a mulch such as mushroom compost around them as it’s alkaline). 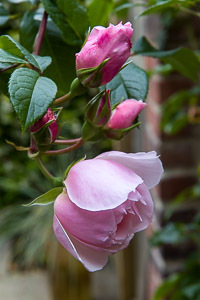 Tie in wayward shoots of climbers including climbing and rambling roses and wall shrubs to supporting wires and trellis regularly. 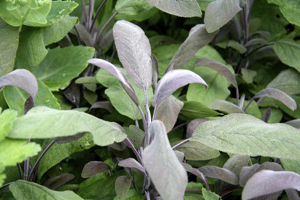 It’s hard to put a date on it (and it will depend on where you live) but when all danger of hard frost has passed and new growth is starting, you can think about lightly pruning evergreen shrubs such as Cistus, Lavender, shrubby sage (Salvia) and Perovskia. Lightly clip them over and remove any frost-damaged stems. Photinia and Pittosporum can be pruned now. This is an ideal time to plant pot-grown evergreen shrubs and conifers. Cut back old foliage on Epimediums as flowers start to appear. Finish dividing perennials. And start thinking ahead, putting stakes and supports in place for big plants like Peonies, Asters, Delphiniums and large Geraniums. 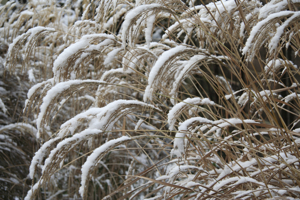 Continue to sow hardy annuals and think about removing winter protection from less-hardy plants. Towards the end of the month start standing bedding plants outside on fine days to harden them off gradually. 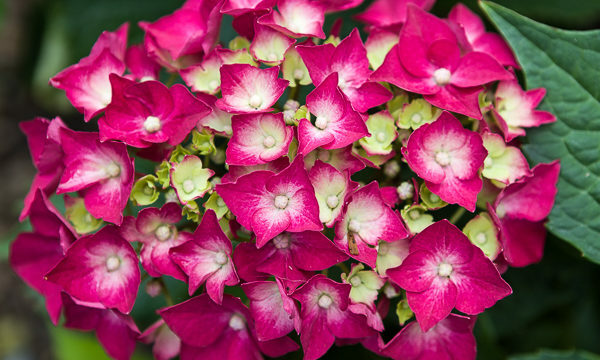 Keep them in a frost-free greenhouse the rest of the time. When the weather allows you can think about planting summer-flowering bulbs, corms and tubers such as Canna, Eucomis, Dahlias, Gladioli and Lilies in containers and borders. Feed lawns at the end of the month if the weather is warm and not too dry. Treat moss and weeds if you didn’t get chance last month. 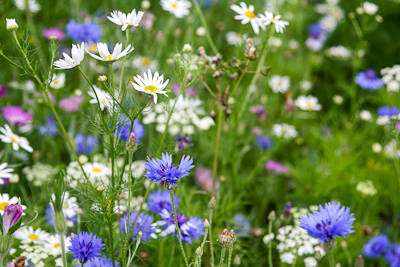 Now is the time to sow grass seed on any bare patches or to sow wildflower meadow mixes. Start mowing your lawns regularly always choosing a dry day. Pick off rose leaves with black spot – only treat with fungicide if necessary. Watch for red spider mite and whitefly under glass. Keep an eye open for aphid outbreaks – at this time of year they can multiply rapidly before predator numbers have built up. Squash by hand for the non-squeamish, or spray with an insecticide. NB. this is general advice only, keep an eye on the weather and be particularly careful if frost is forecast.